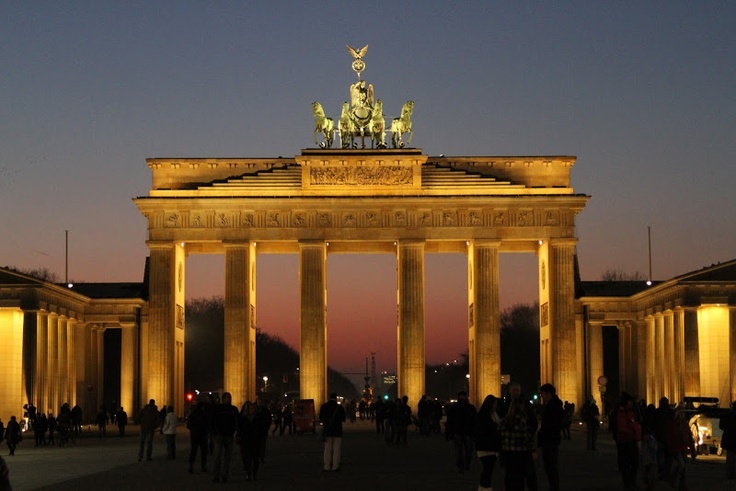 Brandenburg Gate is one of the most well-known landmarks of the German capital. It can be found among Europe’s most photographed sights each year. Brandenburg Gate was built from 1788 to 1791 and served as a city gate to Berlin. During the time of the German Division, it stood on the borderland between East and West Berlin. Today, the American and French Embassies are its neighbours at Pariser Platz which has been beautifully restored after the German Unity. The Reichstag is the central stage of German politics and can tell many stories. You will learn about those when taking a historic tour through the building. The tour plus a visit of the cupola and roof terrace is free of charge. Make sure to register in advance. Berlin’s largest palace is named after the Prussian queen Sophie Charlotte. Whether you choose to visit the historic rooms in the New Wing such as the Golden Gallery or take a walk through the big palace garden. All visitors will find their personal highlight at Charlottenburg Palace. In addition to the beautiful gardens of Charlottenburg Palace, Berlin has lots of other parks to offer. The biggest parks are Tempelhofer Feld on the premises of the former Tempelhof airport and Tiergarten. Small treasures such as Körnerpark in Neukölln or Engelbecken in Kreuzberg can be found all over the city. Another highlight: Gardens of the World in the eastern part of Berlin. Potsdamer Platz was Europe’s largest construction site in the 1990s. The former wasteland near the Berlin Wall is now home to office buildings, shopping malls, the stage Bluemax Theater with the Blue Man Group and the Sony Center. The latter draws many visitors due to its special roof construction. Opened in 1969, the TV Tower was a symbol of the power of the GDR. The tower is Berlin’s highest building at 368 meters providing the amazing views of Berlin from the platform over 200 meters up! Be delighted by the sight of the city while having lunch or dinner at the restaurant Sphere that rotates 360 degrees in one hour. If you walk along Unter den Linden in the direction of Alexanderplatz, you will find Berlin Cathedral right next to the TV Tower. The magnificent church interiors are worth a visit as is the view from the cupola. In contrast to the TV Tower, you need to ascend to the platform by foot. You can find five world-class museums on Museum Island, which is a UNESCO World Heritage site: Old Museum, New Museum, Bodemuseum, Pergamonmuseum and Old National Gallery. As the Pergamonmuseum is being renovated, treasures such as the Pergamon Altar unfortunately cannot be visited. It will be open to visitors approximately in 2023. The Gendarmenmarkt with German and French Dome and Concert Hall is one of the most beautiful squares in Berlin. But please do not be disappointed: The domes are not churches; their names come from the French word dôme for cupola. A memorial against war (next door to the Hotel Palace): The remains of the half-destroyed Kaiser-Wilhelm-Memorial-Church have been standing at Breitscheidplatz since the end of WWII. The preserved little hall shows splendid ceiling decorations, and a small exhibition, photos of the church. No, Charlie was not an escape helper at the checkpoint in Friedrichstrasse. The name simply comes from the international spelling alphabet: Checkpoint C – Charlie. Today, a rebuilt checkpoint can be visited and right next to it, you will find the Wall Museum with lots of information about the divided city and the remains of the wall. The East Side Gallery is the longest preserved piece of the Berlin Wall. Artworks by international artists adorn the 1.3 kilometres of the Wall therefore turning it into one of the world’s longest open-air gallery. At the Berlin Wall Memorial in Bernauer Strasse, formerly in the middle of the borderland, you will be informed about the Division of the city.